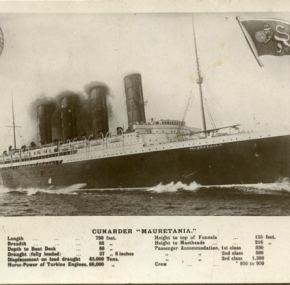 Lovely card of Lusitania as she appeared on her trials. 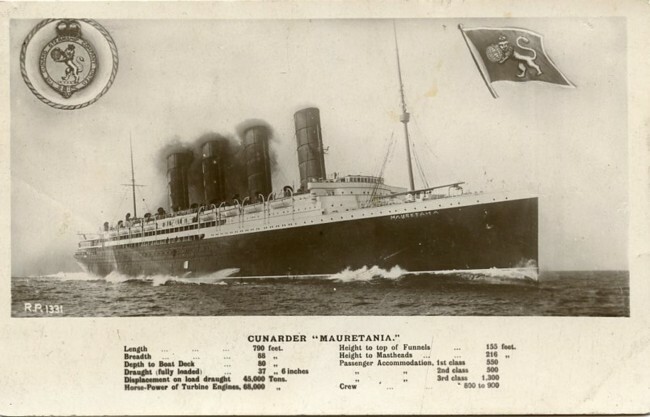 Oddly listed as Mauretania. Cunard logo and house flag at the top and the ship’s statistics at the bottom. Part of the Rival Photographic series. Written on and posted. In very good condition.